Excelsior Brewing celebrates the rich history of Lake Minnetonka and historic Excelsior by delivering superior brews hand-crafted in their image. They are a locally-based brewery committed to stewardship of the Lake and dedicated to serving her surrounding communities. 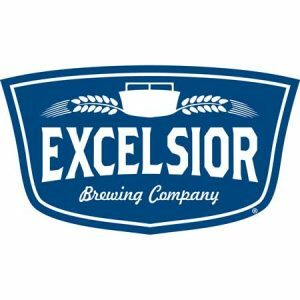 Excelsior Brewing Company’s beer was created to honor lake life, and ultimately, to complement it. Excelsior Brewing produces four year-round beers: Big Island Blond, Bitterschläppe Brown, Bridge Jumper IPA, and XCLR American Pale. The brewery also produces many seasonal beers, including a coffee stout, Hefeweizen, Pilsner, Gose, Maibock, and Marzen.